The Imphal Polo Ground in Imphal, Manipur, is known as the world's oldest polo ground. But where exactly did the sport of polo come from? Although most of us have heard of the game of polo, a horseback-mounted team sport, not many of us are aware of the fact that the modern form of the game was born in the Northeast Indian state of Manipur. It developed from a traditional Manipuri game called the “Sagol Kangjei” played on Manipuri polo ponies by barefoot riders. Unfortunately, the ponies belong to the world’s original polo pony breed are dying, and dying fast. 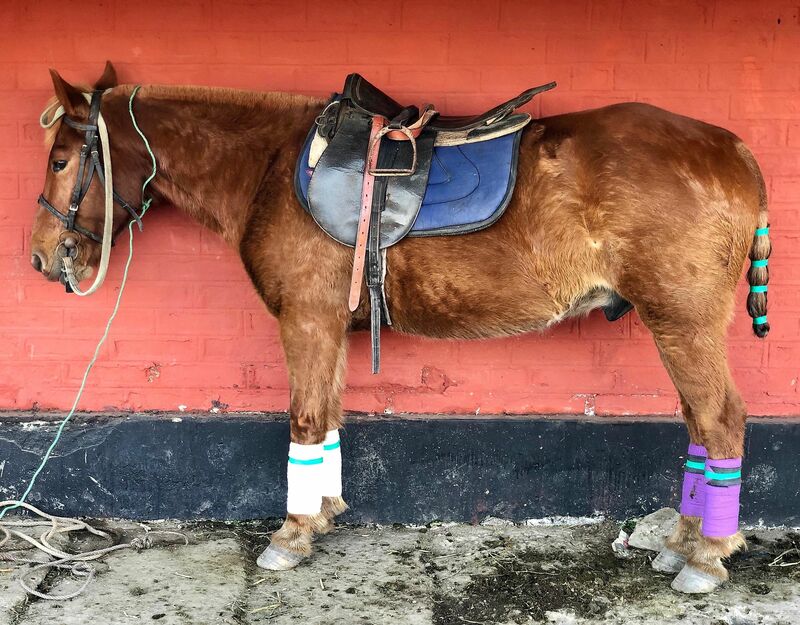 In this article, World Atlas investigates the current status of this pony by visiting the world’s oldest polo ground, the Imphal Polo Ground in Imphal, Manipur. As we entered the spectator gallery of the Imphal Polo Ground where a polo game was being played, we could hear the roar of the spectators sitting in the stadium as they cheered in a chorus for their favorite team. At the other end of the ground, three billboards were visible. 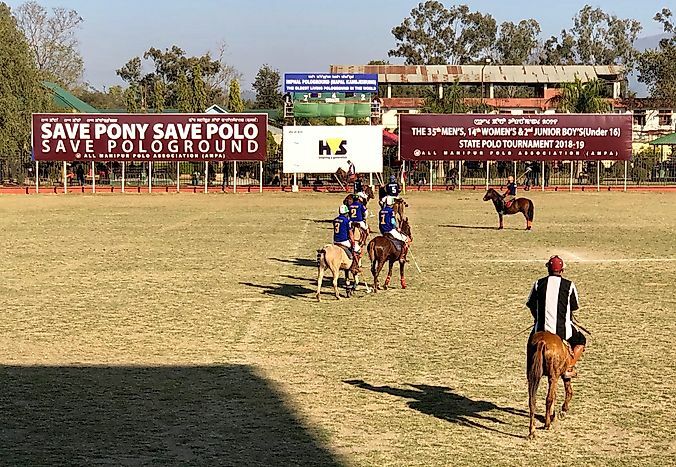 One of them described the venue as “Imphal Polo Ground (Mapal Kangjeibung), the oldest living polo ground in the world.” Another billboard put up by the All Manipur Polo Association (AMPA) read “Save Pony Save Polo Save Pologround”. A third one described the tournament taking place at that time. It was the second billboard that grabbed our greatest attention. It was an urgent appeal to the public to save the polo pony. So, who is this pony and why does it need to be saved? To know that, it is important to delve into the history of the game of polo. Polo, as we know it today, traces its origins in the Manipuri game of Sagol Kangjei. According to a Manipuri legend, the game has divine origins. The deity king of Manipur, Kangba, is credited with its invention in the 14th century BC. The first organized Sagol Kangjei match was held in 33 AD under the orders of another Manipuri king, Nongda Pakhangba. For centuries since then, the game remained an integral part of Manipuri culture. Little was known outside of Manipur until the British came to learn about it by chance. Sagol Kangjei was discovered by the British in the mid-19th century when they happened to watch exiled Manipuri princes play the game in Silchar in present-day Assam, India. Wearing turbans and dhotis and with mallets in their hands, these men rode small sturdy ponies and played a game that appeared like “hockey on horseback”. The game fascinated the British. In 1853, a member of the East Indian cavalry named Capt. Robert Stewart learned the game and participated in a match with the Manipuris. He was so in love with the game that with the help of other Britishers, he set up the world’s first polo club in India in 1859. It was named the Silchar Kangjei Club. Soon after that, the game reached England. In 1869, the first polo match of England was held at Hounslow Heath in London. The rest is history. Polo is now played in about 70 countries around the world. Traditionally, the Sagol Kangjei was played on the back of the Manipuri pony, a special breed of pony that was used by Manipuris since ancient times for rituals, wars, and sports but never as workhorses. There is a lot of disagreement among experts regarding the origin of these ponies. Some claim that Tibetan ponies were their ancestors while others mention that the breed was created by crossing the Mongolian wild horse with the Arabian horse. Whatever be the origin, the Manipuri ponies became entrenched in the Manipuri culture. They were revered like gods by the people of the state. There is even a temple in Manipur, the Marjing temple, where the principal deity Iboudhou Marjing or the god of horses is seen sitting on top of a winged pony. The Manipuri ponies are believed to be the descendants of this divine pony. When the British came to know about the Sagol Kangjei, they also saw great potential in the Manipuri ponies used to play the game. They admired the ponies for their stamina and speed. With the growing popularity of polo in England in the late 19th century, the polo ponies were exported in large numbers. The British experimented with the ponies and created several new breeds. They also used these ponies to transport their troops into Burma during the Second World War. Between 1859 and 1916, Manipur was drained of its ponies and at one point of time, the export had to be banned to allow the breed to recover its population. While the world got the game of polo, Manipur was on the verge of losing its polo ponies. Since the mass export of the ponies reduced their population drastically during the British Raj, years of tumultuous political changes in Manipur after independence further threatened their survival. For a significant period, the ponies and polo were almost forgotten as the people of Manipur were engaged in fighting off many evils like inter-ethnic violence and insurgencies that plagued the state. Today, even after the restoration of peace in Manipur, the polo ponies continue to receive little attention. Only two international polo tournaments are held in Manipur every year and there are just about 15 polo clubs in the state, down from 60 in the past. As a result, the demand for the polo ponies has also declined. They appear to have lost their social value. Another major threat to the survival of these animals is the lack of proper grazing grounds, a direct result of growing urbanization in Manipur. In the absence of sufficient food resources and safe refuges, the ponies often feed on garbage along roadsides. Their new diet is unhealthy and dangerous and has resulted in the spread of multiple diseases among the population. The ponies are also highly vulnerable to road accidents. In 2017 alone, 30 young colts died due to these reasons. According to the Quinquennial Livestock Census of India, the Manipuri polo pony population was found to be only 1,011 in 2012 down from 1,898 ponies in 2003. Although it appears that there is no hope left for these animals, not everyone has forgotten them. There are certain organizations in Manipur that are striving hard to protect the rich heritage of the state. The Manipuri Pony Society (MPS) and the Manipur Horse Riding and Polo Association (MHRPA) are two such organizations keeping the game of polo and its original pony alive. The MPS has set up a breeding center for these ponies There are about 100 ponies in the center. The MHRPA has been busy conducting state-level polo matches since its establishment in 1977. In a game traditionally ruled by men, women of Manipur are also allowed to participate today as the MHRPA organizes an international women’s polo tournament every year. Sagol kangjei is also promoted by the Manipur tourism department during the annual Sangai festival held in the state every November. The festival also aims to save the Sangai, another threatened animal of the state with whom the Manipuris share a special bond. The state government of Manipur also devised a policy called the Manipuri Pony Conservation and Development Policy in 2016 to ensure the survival of the polo ponies. Plans are being made to set up a sanctuary for these animals but funding for the same is scarce. In the end, we must remember that saving the polo ponies of Manipur is about saving the heritage of the game of polo and that its loss would be a loss for the game and all the countries that play the game. Indeed, the slogan “Save Pony Save Polo” on the hoarding of the Imphal Polo Ground could not be more right.